“We will be requested to pay; the Russians believe there are no free lunches,” said Micky Aharonson, former head of the foreign-relations directorate of the National Security Council in Israel’s Prime Minister’s Office. Israeli Prime Minister Benjamin Netanyahu with Russian President Vladimir Putin at the Kremlin in Moscow, Russia, on Feb. 27, 2019. Credit: Haim Zach/GPO. 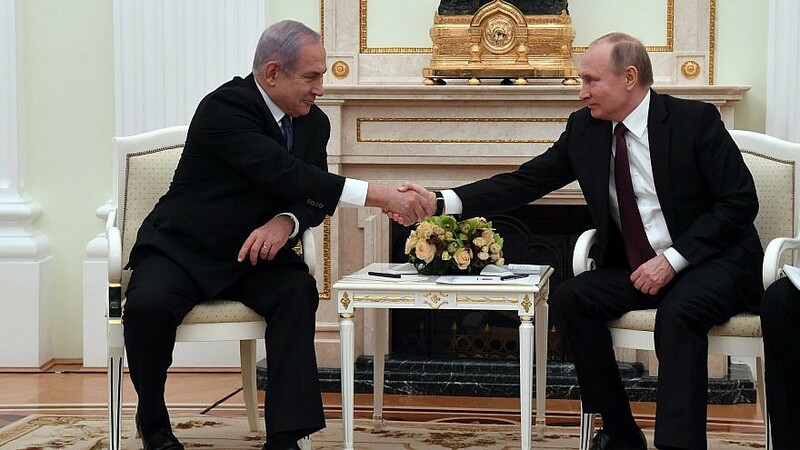 (April 5, 2019 / JNS) The carefully choreographed ceremony in Moscow, in which Russia handed over to Israel the remains of Sgt. First Class Zachary Baumel, missing in action since Israel’s 1982 Lebanon War, was meant to send a clear message that it was Russia—and President Vladimir Putin himself—that helped Israel accomplish this difficult operation. And it wasn’t for free.